Data is potential, and data is accumulating. It’s in the cloud, on servers, in data warehouse, on your laptop. Never before has data been so abundant, so accessible, yet so underutilized. Big data analytics can help organizations to better understand the information contained within the data and will also help identify the data that is most important to the business and future business decisions. So how does this translate to your career? You’ll remain marketable and competitive in the job. The major goal of this program is to impart knowledge on techniques and theories related to Big Data which includes statistics, data mining, data warehousing and data visualization. This course will be useful to students to develop and deploy their skills to achieve a thorough knowledge in Data Science. • Apply the gained knowledge for arriving at decisions which at times become important and crucial. • Design and develop systems for information processing, analysis and leading to appropriate predictions and actions. In today’s era, where there is growing demand for skilled professionals, the key to transform today’s student into tomorrow’s working professional is to develop industry capabilities right from foundation level. Career Education program, an initiative by IBM, has been designed to develop the critical skills and nurture basic competencies in Higher Education that are needed in this dynamic industry. The Career Education Program has included/introduced specialized courses to develop sufficient industry needed skills for manpower on emerging areas of technology such as Cloud, Mobility, Big Data, Business Analytics and Cyber security.  PDM University and IBM have decided to collaborate to build the critical mass in the areas of Cloud Computing. As a part of the endeavor PDM University has set up an IBM Software Lab for Emerging Technologies in the campus to help students build their skill set. The platform brings together the latest software content, real-world industry experience, hands-on lab courses and best professionals practices, all into a single unique education program, to prepare students to be readily acceptable by the organizations. Opportunities exist in the area of Design Engineering, Computing/IT Consulting and Solution Developers. Graduating engineers also work as System/Network Administrators or IT Managers. This programme enables you to contribute both in the area of hardware and software design of computer systems. Computer Engineer would have various job opportunities in various MNC’s like Microsoft, Oracle, IBM, Infosys, TCS, HCL, Accenture etc. as Computer Engineer, Software developer, Software tester, Network administrator, Database administrator, Database designer, Database operator, Website designer, Website developer, Mobile application developer, Robotics expert, Software analyst. After completing this course one can go for higher education like M. Tech or MS or ME +PhD course from abroad as well. 10+2 with Physics and Mathematics as compulsory subjects along with one of the following subjects: Chemistry / Biotechnology / Computer Science / Biology, with a minimum of 55% marks in aggregate. Preference will be given to JEE-2019 Rank holders. Admission will be on the basis of merit of qualifying exam. Preference will be given to JEE-2019 Rank holders.